The Guardian is labelling old stories more clearly, both on its website and on social media, in a bid to stop them going viral in a misleading way when readers believe they have recently been published. 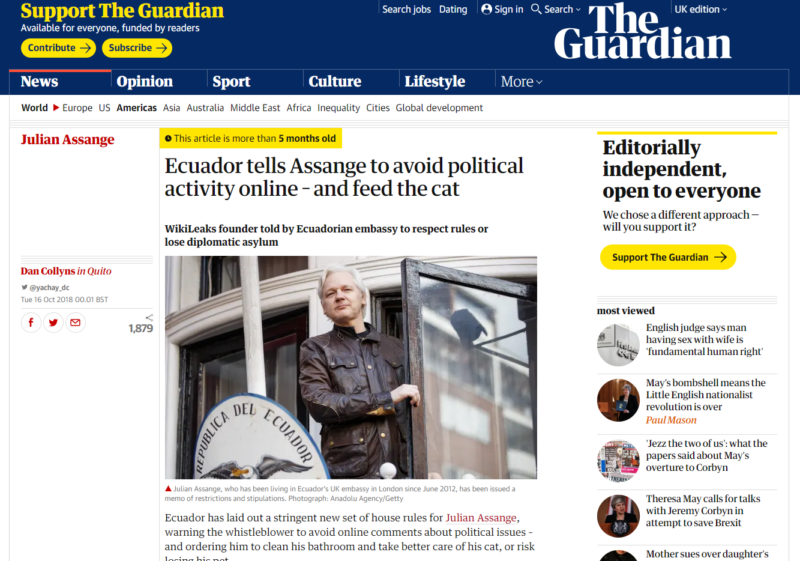 Previously, the Guardian alerted readers when a story was several months or years old with a warning under the time stamp on the left-hand side of articles and in its “most viewed” section online. Now, the continued war on fake news has led the title to move this warning to the top of relevant articles, above the headline, where it will also be highlighted yellow. But the titles said more needed to be done to combat the sharing of old stories on social media, adding that when “shorn of content like the date, accurate and responsible reporting can mislead”. 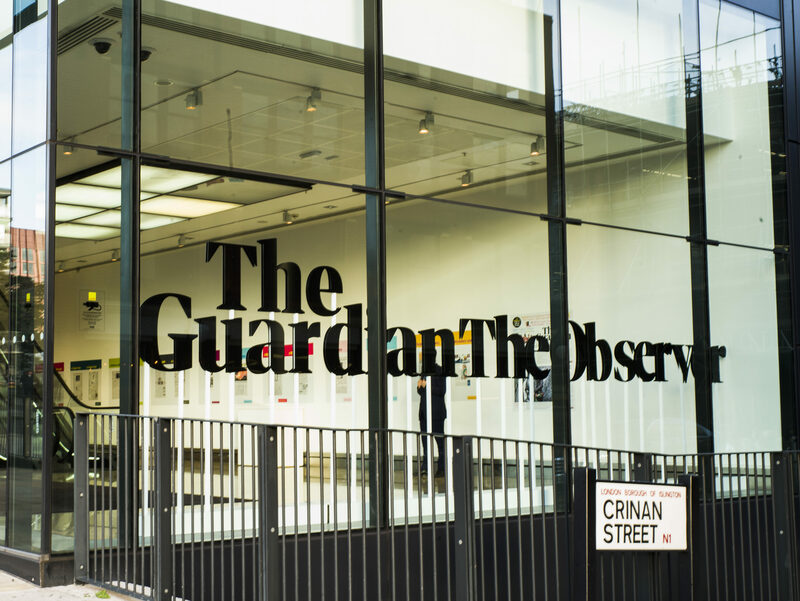 It is therefore also adding the year in which a story was published next to the Guardian logo on the main story image shown in posts shared on Facebook and Twitter. Chris Moran, the Guardian’s editor of strategic projects, explained there has been a rise of partisan Facebook pages sharing older content as if it was recently published “to support their specific aims”. 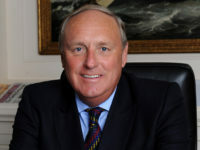 He also gave the specific example of a six-year-old story about horsemeat in supermarket meat products which spikes in publication each February. 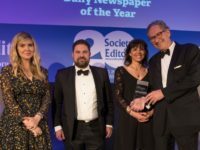 “Originally published in February 2013, it’s generally discovered via search, the reader notices the month of publication but not the year and kicks off an annual, minor viral moment,” he said. The move is being made “in a drive to improve transparency and contextualise our journalism accurately even off-platform,” he said. “Trust is integral in responsible journalism and we take our responsibilities incredibly seriously. The changes will begin to take effect as social platforms reset their cached versions of old stories. The Guardian’s new warning at the top of old stories. Maybe a return to impartial, factual reporting would be more effective. Sadly the integrity of the paper has been a casualty of this war on whoever opposes the official narrative. In response to Alan: Are you able to supply any specific examples/evidence of bias or (deliberate) falsehoods in Guardian news coverage? Of course columnist/opinion pieces, by definition, contain subjective viewpoints, but comment sections are clearly demarcated from ‘straight’ news. If anything, the Guardian is probably the most balanced, transparent, plainly-written mainstream national UK paper in its hard-news reportage.